The Trimilin mini Swing trampoline/rebounder is a high-quality fitness equipment for exercising at home. It can also be used while travelling thanks to its diameter of 100 cm and a weight of just 8 kg. The suspension of the special mat of the Trimilin mini Swing trampoline/rebounder is elastic and soft making the workout joint-gentle. The thick foam padding provides safe swinging on the Trimilin mini Swing trampoline/rebounder. 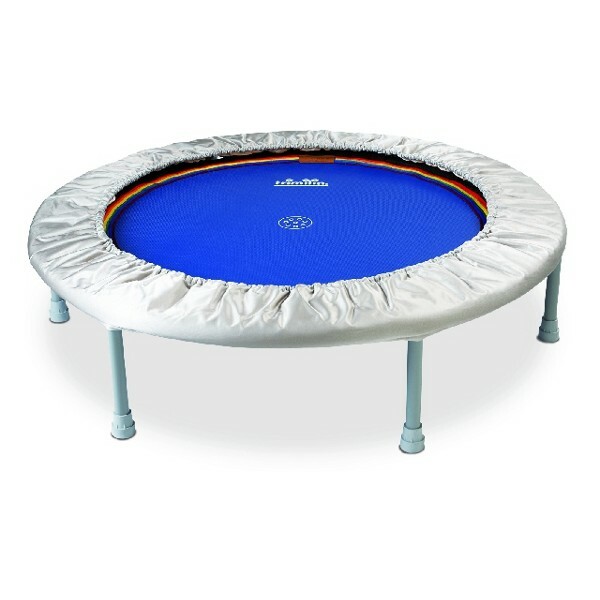 The Trimilin mini Swing trampoline/rebounder is characterized by its unique special mat offering a harmonic swinging and being joint-gentle. The mat is very elastic - it returns to initial state and does not wear out. Jumping features of the Trimilin mini Swing trampoline/rebounder remain constant for many years. The high-quality material and a careful workmanship guarantee a long durability of the gymnastics trampoline. 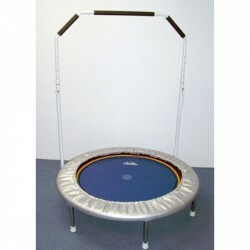 The Trimilin mini Swing trampoline/rebounder is available as mini Swing plus also with foldable legs. The Trimlin rebounder mini Swing is excellent. A good workout with minimal impact on my joints - much softer than a cheaper one. Good value for money. Excellent size for use in an apartment. After only one week of use improved coordination and balance. Bar to hold on to is very practical and provides a sense of security. Very pleased with the Trimilin mini swing rebounder. Fantastic quality! Heymans holding rod Trimilin In stock! 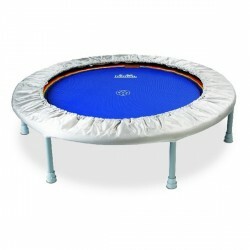 Trimilin mini Swing trampoline/rebounder add to comparison list.